Are you an aspiring entrepreneur seeking to enhance your business knowledge? We would suggest you hold onto a good book that could help you align your business ideas well while taking lessons from people who have already turned their dreams into reality. Given the enormous plethora of resources available on the internet, it is very easy to get bogged down while trying to find out the best sources that could help in gaining business insight. While there is no dearth of valuable resources you can look up to for entrepreneurial motivation, a little guideline could always come to help! To ease up your search for best business education, we have come up with our own researched list of top 5 books that you can read to gain some business inspiration. Albert Einstein, legendary physicist once said: “Strive not to success but rather to value”. This the core idea you will find in most of these enlightening books that present the bigger picture while covering the most minute details of an entrepreneur journey. Encompassing real-life stories of some of the biggest names in the business landscape, these books are a must-read for every aspiring as well as an established entrepreneur. While, we obviously agree that there are hundred other books that you will find over time, starting with these will help you lay your foundation on business insight and will help you develop more clarity on how to go ahead with your own entrepreneurial journey. 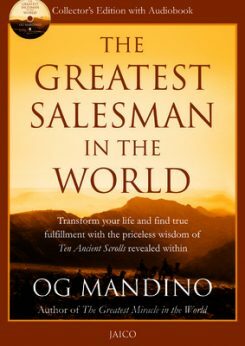 Coming from the millennial author to have ever lived, “The Greatest Salesman In The World” is a must read for every individual impassioned with an entrepreneurial glitch to set a mark for himself. While there are a number of remarkable books written by the same author, this one seems to be the best of all. The book subtly enfolds a business journey emphasizing the importance of persistence, grit, and determination while believing in one’s abilities. Crafted in the form of a story, the author very adeptly describes “10 golden rules required for business sales and success.” As the story unfolds, Mandino goes on describing the importance of dwelling on good habits in life, on having a good heart and sticking on profound gratitude for everything that happens in life. Given the author’s magic with words and his comprehensive strategy to reading, this book will take 10 months to finish. But, it would definitely be worth it! This is another pick that should be included in every entrepreneur book list. Enhancement is a book that dives deeper on the subject of influence, conversion, and persuasion. Enhancement, as defined by the author, is a process that involves delighting people with product services and ideas. Rather than based on persuasion, its a broader skill that converts the hostile into friendly and the skeptical into loyal.And when done with a right approach, it can generate outstanding results that could be beneficial in the long term. Above all, the book is a masterpiece that amalgamates business wisdom with building relationships and bringing a change. The author, Guy Kawasaki stated that he had read about 20 books on persuasion and conviction before he wrote this one.The research done by the author is simply outstanding and makes this another valuable collection to be possessed by every aspiring businessperson. This book unfolds a journey of company’s transformation while bringing out Nadella’s personal odyssey from his childhood in India to witnessing on some of the most innovative transformations of the 21st century. This book is a magnificent study of changing cultures. Simplify things and bring clarity to the colleagues. Instill energy and a positive vibe for teams to work productively. It is crucial to building teams that stronger today as well as tomorrow. Exploring ways to deliver success. To encourage Innovation while being globally aligned. 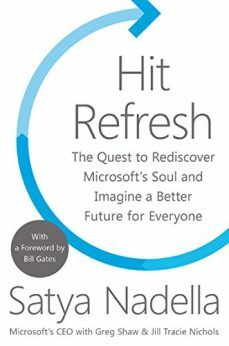 What makes Hit Refresh too enticing and worthy is Satya’s capacity to acknowledge his own mistakes while inviting Microsoft employees to watch the video and learn from it. This is truly inspiring and a great spirit that authors at a top hierarchy fail to adopt. 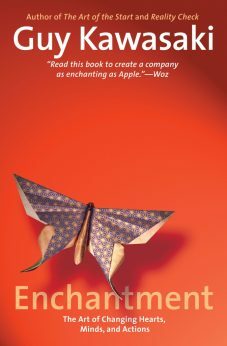 This is a cult business classic that explores the roots of disruption as to why leaders often fail to recognize technologies and what measures they should adopt in order to secure markets and gain conversion in the long run. 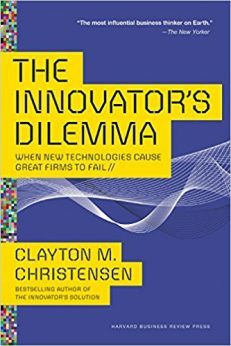 In the book, author Clayton M. Christensen talks about how companies that have all the potential to garner success fail despite right strategies and actions. He not only talks about those possible “loopholes” but also goes on correcting each one of them through his masterful insight. Personal Takeaway: Read the book to find out when it is ‘right’ to move with next product line up. When to trust your customers and when to invest in low driven products that seem to cut on profit margins. How did a popular street snack joint embark on a journey of tremendous success gaining international popularity in no time? What transformed a simple grab and bite snack selling business to gain market valued brand? What made Harvard Business School come forward and appreciate the terrific success of humble vada pav? 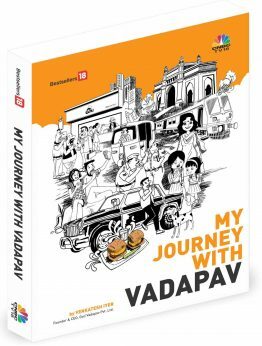 To seek answers to all these questions, Read “My Journey with Vadapav” written by Venkatesh S. The book unfolds a journey of a young, passionate and uncanny entrepreneur with a vision to do something new who with his unending zeal and grit converts a humble vada pav joint to millennial success in no time. With a tinge of humor, drama and real-life problems that perhaps every bussing business person would relate to, this book is one compelling read that would surely act as a much-needed inspiration for all the readers.